It seems as if this can be said every year: What a spring! It’s hard to remember a mild, not extreme one in our short time farming, though we know there have been one or two. Fortunately the snow stopped, temperatures have been tolerable to good (depending on your genus) and rainfall amounts while so frequent have been relatively low. 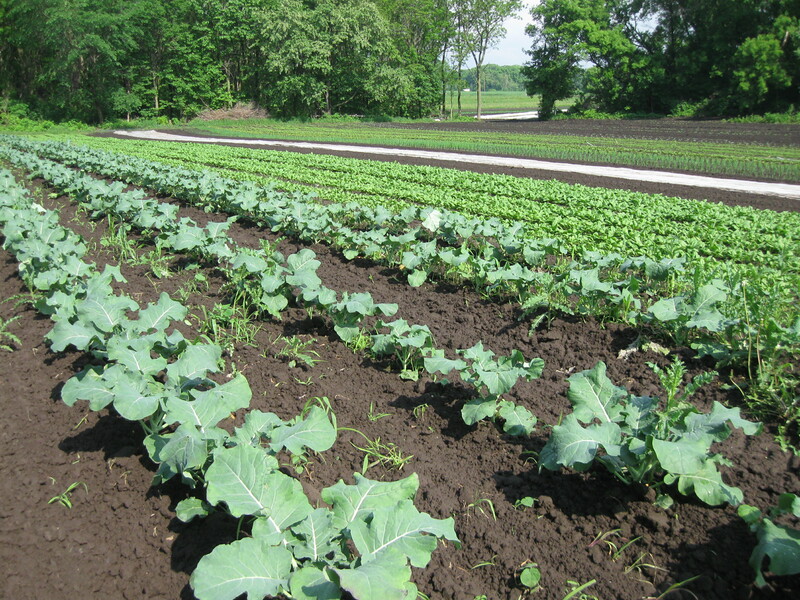 Overall crops are looking good, especially the cool weather crops (greens, broccoli, onions, strawberries etc) while the summer squash, tomatoes, melons etc are just trying to survive until the sun comes out (and mostly succeeding.) The diversity of crops on a farm like this, along with your support and enjoyment of the farm and its food, is crucial to being sure there’s food for everyone involved. We’re excited to see you all! Whether it’s another trip on the farm season merry-go-round, or the first time you’ve eaten with us, we hope you taste, see, and feel all the care and work that has gone into growing food for you. Your excitement, any given day and over the years, is deeply gratifying to us, helping us know we’re doing our job. As a farm family and crew we’ll do our best every step of the way this year to make sure you’ve got the best fresh eating experience possible. So thank you for joining us in this CSA relationship! You’re part of a modern reinvention of the old-time traditions of getting food from your farm, yard or neighbor. 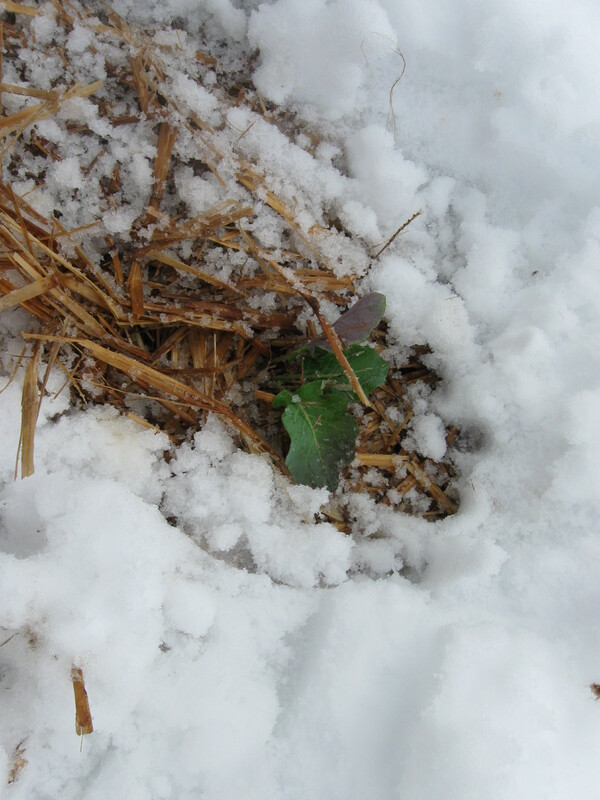 Baby broccoli got covered by 6 inches of snow on May 2nd. We learned a lot from the surveys many of you filled out last year. A few changes from your responses will be immediately noticeable. First, the driveway— the gravel is now twice as wide, and the east side is much flatter. The west side, while not very usable right now because it’s mostly dirt (aka mud), has been made smooth and usable for turning around once the grass is grown. So after seven years of tricky parking we hopefully now have an easier, safer parking area! As in the past, please park on the right/east side, as perpendicular to the driveway as possible, to simplify your backing out. We have had other ideas about how to best utilize this parking improvement, but for now will keep parking this way on the right/east side–if you have other thoughts on parking please let us know we’d love to hear them! Second, pickup hours are 2-6 Monday, Wednesday and Friday. This is more hours than we’ve ever had available before, and should help with concern about overcrowding that we’ve had and several of you have mentioned. We know some of you would also like us to stay open later into the evening, and we’ll keep it in mind, but right now that doesn’t work well for us. We are happy to save a share aside for you if you’re unable to make it by 6. Remember you can U-pick anytime. Third, we’ll have gloves available for you to use when selecting your greens and lettuce. There were many of you who thought that tongs were a good idea for the greens. And there were also a number of people who liked the idea of tongs but were concerned that they might bruise the greens. Because of this good input, we decided to try gloves for picking out the greens. Please let us know what you think. Fourth, we are trying to make this newsletter easier to read. Bigger font, different layout, no pdf to download. We’re winging it this weekend and expect to be experimenting with the format as we go along this summer. We’ll have hard copies available in the barn if you need or prefer it. Thanks so so much to Doug Hiza for many hours improving our website, and teaching us about it! Other perks of the new website include easier-to-find recipes, quick access to old newsletters for that old recipe or tidbit, and overall a lot more beauty representing what it’s really like to be here. We’ve had a perfect storm of projects and tight dry weather windows to make it quite a challenging spring in our little bubble of toil and joy. Our quick-drying soil is a boon this year, as we waited for it to dry out enough before plowing or planting just in time for another tenth or quarter-inch of rain to make it all mud again. We lost track of how many times Ben got rained on while finishing plowing a field, and rubber boots heavy with mud have made any other shoe feel like a feather. While many many farmers have been unable to get into wet fields, we can say that fortunately all crops have been planted at or close to the best time they could have been given the cool temperatures. We saw this coming when April stayed wet and cool but didn’t think it would last all throughout May–every week there’s been 2 dry days to do 3-5 days worth of work. We made our schedule more tight by having three big projects going on to also squeeze into those tight windows: the driveway, plus our “climate change improvements” — buried irrigation pipes to accommodate the increase in water from our new well pump, and a water and sediment retention basin (or dam, as we call it.) We didn’t do much of the driveway work ourselves, but right when it was done a long overdue semi truck of composted manure finally arrived and found it was too wet to dump anywhere but right on top of that nice new driveway. We knew at the time this would be funny later. It was ten minutes later but it still kinda hurts even as we laugh. The week after we got that compost spread on the field, it was finally time to dig the trenches for the irrigation pipes. Say goodbye to more good gravel and tidy, usable driveway. We hoped to do the trenching early in April, in case it took longer than expected. We’ve proven our amateur status and it’s taken 5 times as long as expected, and there’s still a leak to fix, some more pipes to glue, and a trench to backfill in the woods. But in dry times it should all be worth it. We call this project “water in,” for dry times. For keeping “water out” of the fields, the water retention basin is built now, so when gully washers come and fields pond, we should have little to no gullies through this lovely soil, and no pond down by the road which many of you have seen in times of deluge. This is good for our soil, our crops, and for the river, too, as we should be significantly slowing and reducing the water flowing under the road and headed for the Cannon. Like the driveway, we also didn’t build the basin, but we spent many hours talking and discussing when we would normally have been planting, cultivating, etc. With the bulldozers and backhoes around the kids in the neighborhood have been out of their minds with glee, but for the adults it has added to the chaos of a cool, wet spring. But it all has gotten done, and through it all we’ve had that sunshiny feeling that it’s all going to work out just fine. And now the sun is shining! We hope you enjoy the first fresh beautiful harvest!!!!! This is what we see when we’re out standing in the field. After a few weeks of salad and stir-fry fixings, we’ll start having beets, carrots, broccoli, summer squash, cucumbers, and cabbage, and swiss chard. Sometime in later July the tomatoes start trickling in, along with peppers and eggplant. By August we hope to be swimming in the unbeatable mix of juicy and delicious warm-weather fruits and veggies. It’s mm mm good all the way! Pea shoots will be ready in a few weeks, everything else is soaking up the sun and on its way! This spot in the newsletter will keep you informed, and always check the U-pick board when you’re here to see what’s available and picking amounts. This gets long, we know, thanks for reading! There’s a lot to cover to start the season. We’re so glad to have you on board! If you have questions about how the share works, please ask one of us. It’s your farm—please visit anytime. Get to know and enjoy the farm. Check in on the crops as they grow, walk the path down by the honey bees, or feed the chickens some grass through the fence. If one of us is in the fields, we might not be able to stop and talk, but you are always welcome. Remember your reusable bags and also to sign in when you pick up your share. We have plastic bags for you to use and will also have reusable for sale in the shareroom. The bags we sell are the same size as the plastic ones we supply for figuring amounts of veggies in your share. Feel free to ask one of us for details. 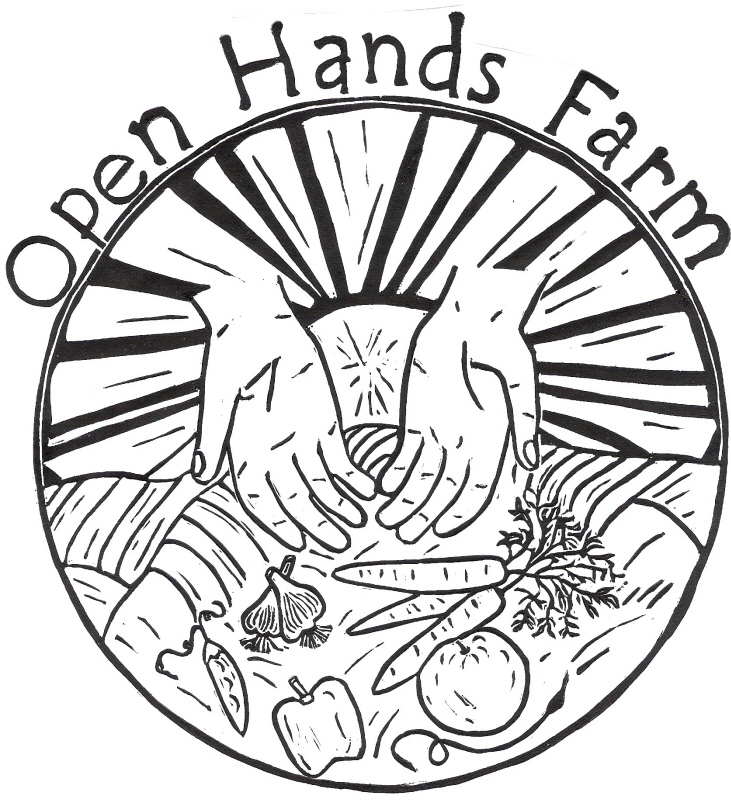 A few years ago we assembled a CSA Member Handbook to answer common questions and help make being a part of the farm as great an experience as possible for you and the rest of your household. It contains info about logistics on the farm, and lots of tips for U-Picking, storing and preserving the farm’s bounty. We’ll be handing them out this week to new shareholders to take home and read; if you got one last year and would like another, please take one. When you come to pick up your share, please sign the sign-in sheet on the table inside the barn door. This helps us know how many people came each day, so we can be sure to pick more than enough for everybody. And new for this year, if you split a share, please sign in on the same line as your share partner. With your support of the farm, each year we are able to donate 4-5,000 pounds of fresh produce to the Northfield Food Shelf. These veggies are simply the leftovers from the share pickups, the same fresh, high quality food that you get in your share. With the help of two very dedicated volunteer drivers, it gets delivered to the food shelf the next day. So if at any time you do not want to take all that is yours in the share pickup, you can leave it and it will go to the food shelf to help feed those in need, an unfortunately growing number of people in our community. 4151 320th Street West, Northfield. 2 miles north of Northfield off of Highway 3. From Highway 3, go west on 320th Street West, and pull in the 1st driveway on the right. Please park on the right (east) side of the driveway. Try to pull in perpendicular to the driveway so you can turn around as you back out. We ask that you not use the turnarounds near the barn or the house during the share pickup, to help keep kids safe around the barn. —Children are everywhere. On the note of children, please know where yours are at all times. Please make sure they don’t go near the wood piles near the house. They could topple and be very dangerous. All buildings, except the shareroom area of the barn, are off-limits to children. There are sharp tools in many places. We love having all of you come the farm and hope it can be safe and fun for all! Thank you for making it such a great place to be! Thank you so much for your support! !